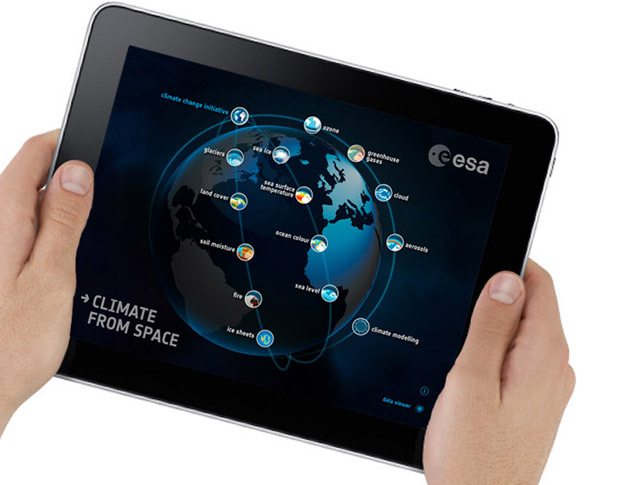 Planetary Visions' latest software title is an app for iPad and Android created for the European Space Agency to explain how satellites are used to track the Earth's changing climate. Climate from Space is a new way of communicating science to the public, combining engaging and richly-illustrated text with an interactive virtual globe that puts thirty years of satellite observations quite literally at your fingertips. The app's data viewer shows how key climate variables such as ocean temperature, sea level, carbon dioxide and soil moisture are changing through time. Text, images, diagrams and maps explain how these parts of the Earth system impact on human life and activity and why measuring them is important for climate science. Leading scientists from across Europe explain their work in their own words in short video interviews. Planetary Visions was responsible for design, software development and content creation, including 16,000 words of text, 130 illustrations and 20 interactive data visualisations distilled down from more than a terabyte of source data from ESA's Climate Change Initiative. 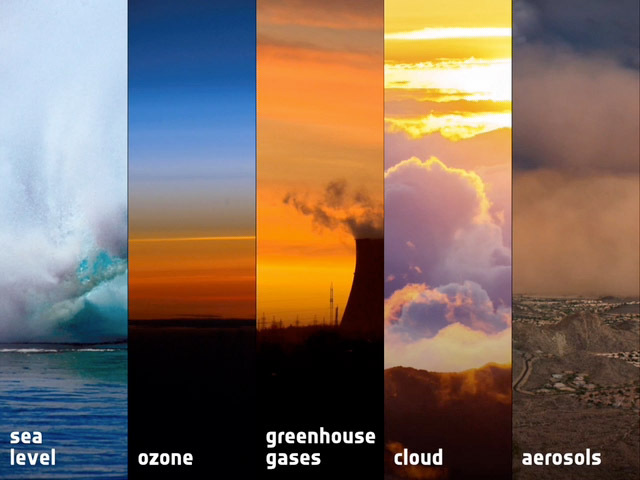 Climate from Space was developed by Planetary Visions for the European Space Agency's Climate Office, based in Harwell, UK. It is available as a free download from the iTunes and Amazon app stores.